The Exicor 500AT is the all new frame design replacing the Exicor 450AT systems. This new ‘Heavy Lifter’ of the Exicor® birefringence measurement system family brings a new efficiency and improved robustness to accommodate even larger and more numerous samples. 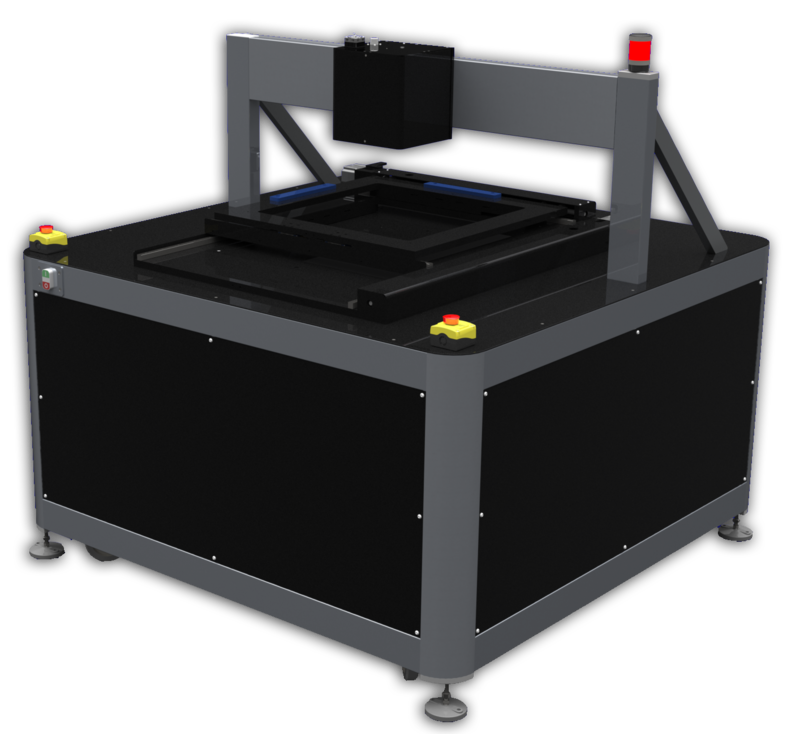 This model is ideal for measuring thick lens blanks for lithography applications as well as other large and heavy parts (up to 500mm X 500mm and 400+mm thick). The 500AT improves on the proven frame and motion control components that are the hallmarks of the Hinds Instruments Exicor 450AT systems. The new design has a full forward easy access stage that allows the sample measurement area to completely clear all potential obstacles on three sides and above the sample. The larger stage also allows for loading multiple parts at one time for batch scanning applications, as well as giving more clear access for production line automation integration applications. By adding the optional Exicor Zones™ software to the 500AT the system can be setup to execute automated routines to scan each part individually and assign individual file names to each ‘zone’. This software allows the user to begin the routine and let it run for multiple shifts, overnight or even longer (depending on the application) without having to intervene. With two measurement range options available to choose from (High Sensitivity and Extended Range) the system is well-suited to address the demanding requirements of your large samples. The optional high speed scanning package makes high spatial resolution scans (<1mm grid spacing) practical. Contact us for more information about the Exicor 500AT and to see how Hinds Instruments works with our customers to provide unsurpassed birefringence measurement metrology.